This tropical palm enjoys moderate to bright light. Although its leaves arch romantically downward, its sure to uplift any home or office. 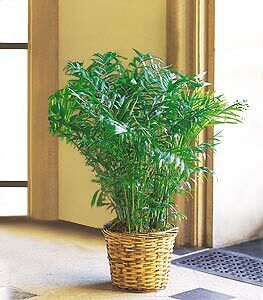 One areca palm plant arrives in a rattan pot cover.